This book provides a service-based approach, explaining how companies of all types can cost-effectively translate manufacturing-oriented Lean Six Sigma tools into the service delivery process. Six Sigma expert Michael George reveals how easy it is to apply relatively simple statistical and Lean tools that will reduce costs and achieve greater speed in service processes. 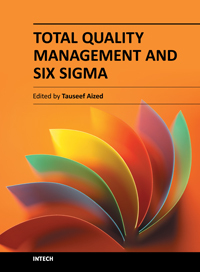 This book also provides real-world examples from situations where the critical determinants of quality and speed are the flow of information and the interaction between people. The numerous case studies demonstrate how Lean Six Sigma can be used in service organizations just as effectively as in manufacturing--and with even faster results. Management, Project Management, Quality Management, and Risk Management, etc.